The Getty Center in Los Angeles, California is part of the largest arts endowment in history. The main attraction is the distinguished J. Paul Getty museum, which is free to the public and contains works by artists such as Vincent Van Gogh, Roman sculptors and Rubens. The collection primarily consists of pre-20th Century pieces, with an exception made for photography. Perched upon an entire hill in Brentwood, the views from the Center are spectacular and extend in all directions. 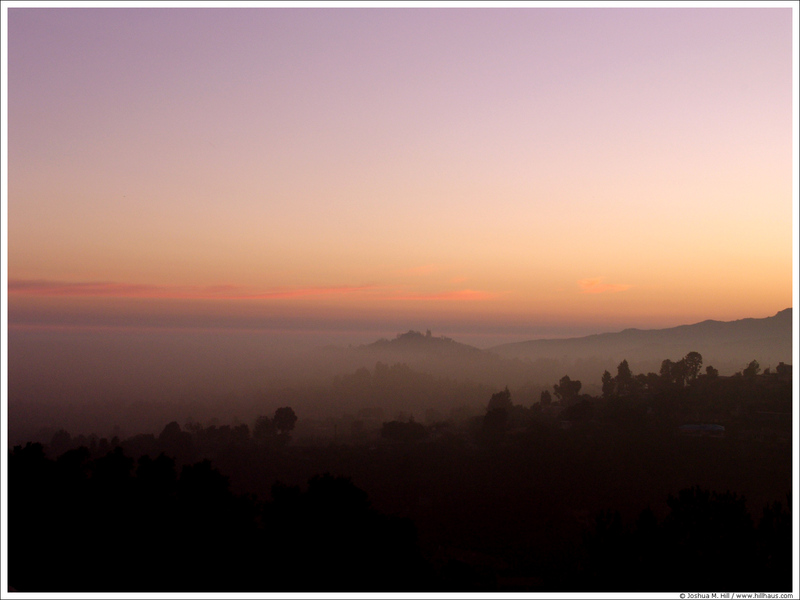 This particular photograph looks west at sunset, toward a Pacific hidden under thick fog.